Absenteeism carries a hefty price tag of thousands of dollars each year. According to a 2005 “Shiftwork Practices” study by Circadian, unscheduled absenteeism costs $3,600 per year for each hourly worker, and $2,650 for each salaried employee. The good news is that you can stop absenteeism from hurting your bottom line by taking a proactive approach to attendance management and addressing issues before they get out of hand. Although you have to expect workers to miss a certain number of workdays each year, you’re dealing with a different situation if that time is unscheduled, excessive or not properly captured. Scheduled absences, for example, consist of vacation or personal time – whether part of a PTO plan or calculated separately. Normally this type of time off is budgeted as a payroll expense and doesn’t pose a problem. However, unnecessary costs arise when time is taken but not deducted from the PTO bank. It’s estimated that the average employee takes three days of unreported PTO annually. By tracking absences and dealing with attendance problems head on, you can control costs and avoid the drain on your business. Unscheduled absences, on the other hand, may include arriving late to work, leaving early, taking longer breaks or lunches than allowed, or not showing up at all. In the typical workplace, unscheduled absenteeism can range from 5 to 10 percent, meaning as many as one in 10 workers is absent when he or she should be working. Though this varies by industry, with healthcare and retail experiencing the highest rates of absenteeism, unscheduled absenteeism disrupts the flow of any business and leads to many of the indirect costs mentioned earlier. 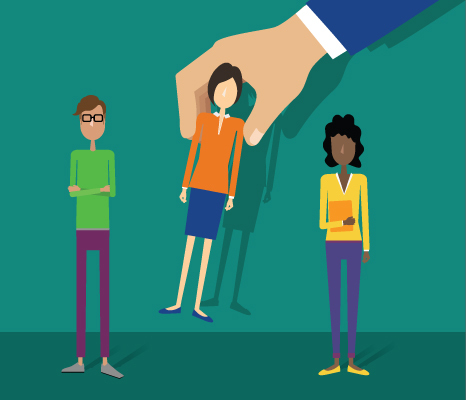 Start with a clear workplace policy – A formal policy lets you establish attendance rules. Share them with employees and enforce them consistently. You can cover a lot of ground here, but, at the very least, define late or missed work time, available paid and unpaid leave (including how it’s accrued), holidays and other company leave, and the consequences for not following the rules. Use a system to track attendance – An online, cloud-based solution such as TrackSmart is ideal for tracking who is absent, how often and why – all of which can help you spot troubling patterns and address problems early. You can view all employees’ absences on a single calendar for quick reference, set up a customized time-off accrual plan to suit your business and even allow employees to check their time-off balances from any computer or mobile device. Similarly, scheduling tools can reduce “no shows” and other issues, especially shift-driven service industries, because workers can access schedules 24/7 from their devices. 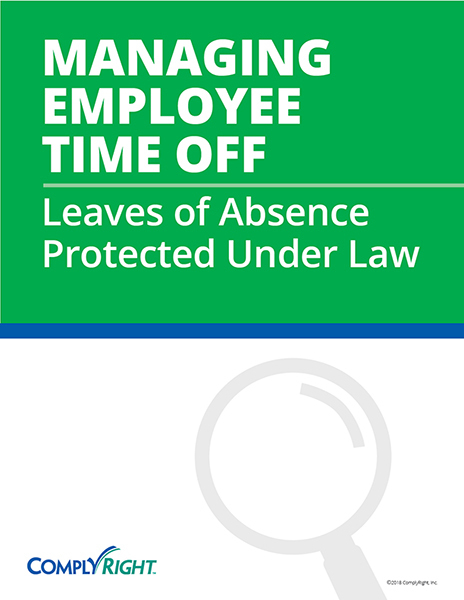 Record absences, even if you have a PTO bank – If your company allows employees to use time off from a PTO bank, it’s still important to document absence reasons. This is because certain absences cause legal responsibilities, such as time off for family/medical care, military service or jury duty. 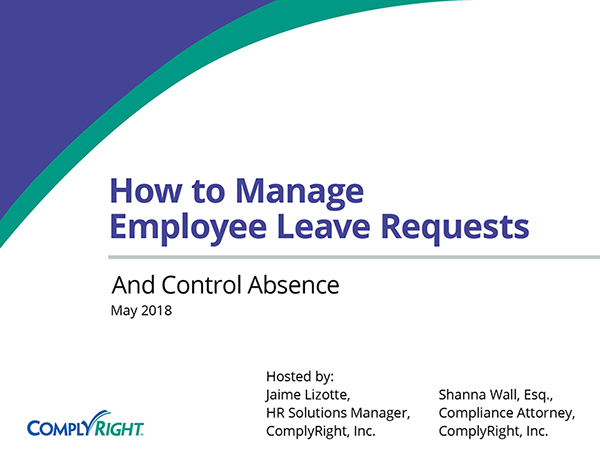 You should also indicate whether absences are planned or unplanned, and whether the employee followed company rules for requesting or reporting time off. 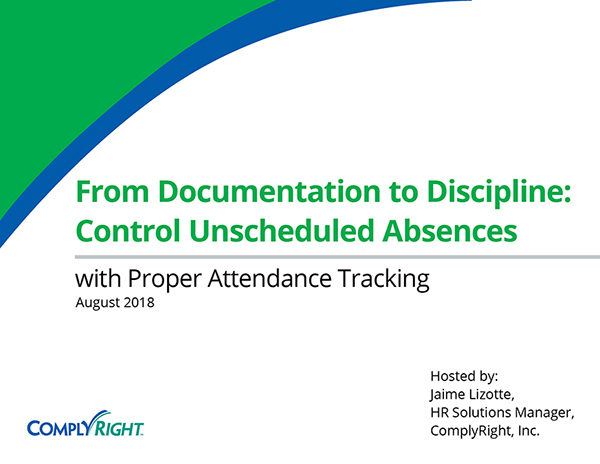 Make attendance management every supervisor’s job – Supervisors should take the reins with documenting employee attendance, identifying excessive absenteeism or tardiness, and addressing problems through counseling and/or discipline. Keep in mind that discussions about attendance, although sometimes difficult, are in the best interest of the company because they allow employees the opportunity to improve. This, in turn, can boost productivity and morale – two things that suffer most when absenteeism gets out of hand.